A Bitcoin wallet is a collection of private keys but may also refer to client software used to manage those keys and to make transactions on the Bitcoin network. This page covers various wallet formats in use. The original Bitcoin client stores private key information in a file named wallet.dat following the so called "bitkeys" format. It is intended that a wallet file be used on only one installation of Bitcoin at a time. Attempting to clone a wallet file for use on multiple computers will result in "weird behavior". The Armory client uses a custom Deterministic wallet format described here and runs on top of Bitcoin Core. 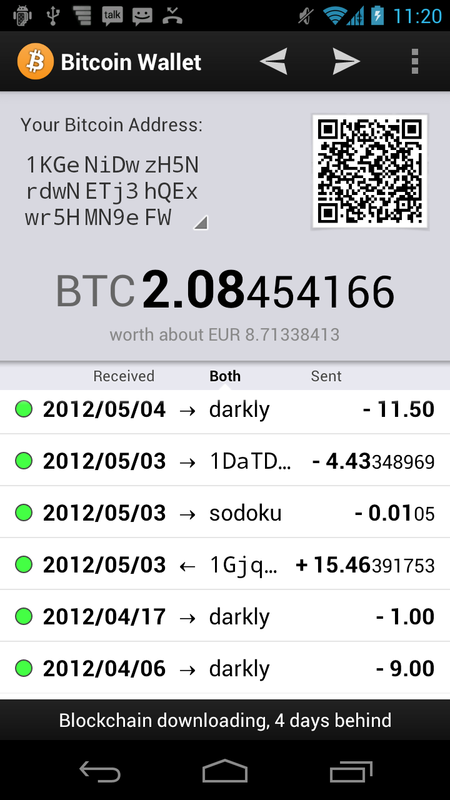 Bitcoin Wallet uses the bitcoinj protobuf format for its wallet file. However, due to Android isolation of applications, it is impossible to access the wallet file as a non-root user. Blockchain.info offers a hybrid eWallet called "My Wallet". It use a plain text JSON wallet format. Private keys Keys are stored in base58. Ledger Wallet manufactures various hardware wallets. Multibit HD (the current version) uses a BIP 0032 (type 2) Deterministic wallet with the format described here. The "Classic" version used the bitcoinj protobuf wallet file. Blocktrail offers a BIP 0032 (type 2) Deterministic wallet and for added security also implements Multisignature wallet technology. TREZOR is an isolated hardware environment for offline transaction signing and using a small display you can visually verify the transaction contents.